Evoking the silence and velvety texture of the night sky, the hand-knotted Noche rug made with jute fibre appeals to the senses, returning to the basics in life. 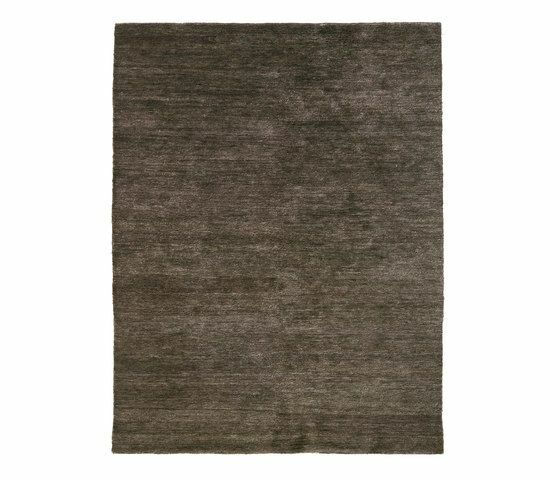 Fresh and rustic, this rug presents exceptional insulating and anti-static properties. Graduate in Industrial Design at Elisava, Escola Superior de Disseny. Her interest in textiles and her curiosity about production techniques allow her to provide innovative textures and at the same time to learn to apply the colour. Receiving the highest accolades for her final year project, Miquel was awarded the prestigious ADI-FAD award in 2002. She would then participate in various projects for brands such as Alcatel and Bormioli Rocco, enjoying the opportunity to include her work in the Reflexus exhibition, with Ingo Maurer, at the Centre d’Art Santa Mònica, and the installation Flux Mundis at the MNAC, Museu Nacional d’Art de Catalunya. After working with Martín Azúa and Emiliana Design Studio, she joined the nanimarquina design team in 2003. Here she has been closely involved in the development of the brand’s collections and those of external collaborators, following each project to production, hand in hand with the suppliers and artisans. In 2008 and 2009, she served on ADI-FAD’s executive board. True to her design roots, Nani Marquina launched her namesake brand in 1987, a time in which contemporary rugs were non-existent in Spain. After studying industrial design at the Escuela Massana of Barcelona and enjoying the success of her first bespoke textile designs, Nani launched nanimarquina, a brand dedicated to the design, creation, and distribution of rugs and textile products for the home, based on values such as observation, innovation, and enthusiasm, with the goal to use traditional craftsmanship and techniques to create contemporary pieces.